truck has two tanks, no power to fuel pump. Can the switch on dash that controls tanks cause the power not to go to pump. I can spray gas into air holes on plyem and truck will fire.I tried to straight wire pump, but truck wont fire like that. When I take off straight wire to pump and spray gas into intake it will fire. Will bad switches cause computer to give wrong single and cause it not to crank. What switches can cause the power not to go to pump. I know it has fuel cut off switch, and front and rear tank switch, and fuel pump relay on fender well. Need help please. OK are you sure that the main fuel pump is not working? How old is the fuel filter? Do you have a digital multi meter to do some testing with? Have you checked the fuel pump relay? See this truck has 3 fuel pumps a lift pump in each tank and then the main pump on the inside of the frame on the left (drivers) side about under the drivers seat. Then there should be a fuel filter just in front of the pump. There is a black can back by the tank this is the switch valve sediment bowl. There may be filter in that but we will get to that later. 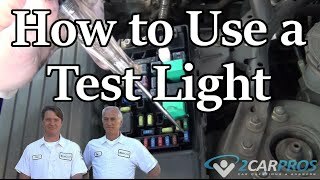 Lets first determine that the main fuel pump isn't working ok. Let me know if when you turn the key on that pump hums, it may be that you will have to put you hand on the pump and have someone turn the key on should run for about 3 sec. Let me know what you find here and we will go from there. Check out the fuel pump wiring diagrams below. When I cut the key on there is no power going to the fuel pump. I also checked for power on the fuel cut off switch under the glove box, and the front and rear tank switch on the dash, and I have no power on either one when the key is turned on. I would think they would have power on them when I turn on the key. Does the fuel pump relay on the fender well suppose to have a hot wire to it that feeds everything. The pumps get power for 3 seconds when you turn the key on. Then when you go to crank they get power again and the relay keeps power to the proper pumps till turned off. The switch on the dash powers the correct in tank pump and nothing more. The relay keeps the correct intake pump running and the high pressure pump on the frame working once you go to crank. So what is you want to do? Are you wanting to fix it and make it work as it should or? I am not trying to be difficult just trying to understand what you are wanting to do. Once I know I understand what you are after then we will go from there. Thanks. I want to thank you for your help first. This has been a real headack. I want to fix it right. First let me explain everything. The truck was running butthe enginehad a knock, so I had the motor changed. We put a 302 motor out of a 86 linclon, but the guys had to change the fuel injection because the linclon had only 1 air hose on it to the air filter, and the truck motor had 2, and maybe the fuel linage was different. After the mechanic changed over everything he couldn't get it cranked. He said the fuel pumps wouldn't work, but if you spray gas into the air hole's on the plyemn the truck will fire. He told me he didn't think the injectors were letting gas in. I checked the wire on one of the injectors with the switch on and it had power to it, so I figured the injectors were ok. I put a new fuel relay on and had no effect. I checked the relay for power and it has five wires on the plug-in and one has power. I have the dash out so I can see all the wires and they look good. I have the back fuel tank unhooked, could this cause a problem. Could the computer cause the fuel relay not to work, and how do I check the injectors to make sure they are working right. I just checked the fuel pump to see if it come on for 3 seconds when the switch was turn on, and it did not come on, so what would cause it not to work like you said for 3 seconds. Ok great this helps a lot so tell me what engine was in this truck before the replacement? It determines wire colors in some area's. I will then look over the wire diagram and we will follow out the wires to the fuel pump to determine where the problem is. Now I also must ask what computer was used the one from the truck or the one from the car the engine came out of? The motor came out of 86 Linclon, same 302 motor but the intake had to be changed. The origonal motor in the truck was also 302. It was running until the motor swap. I checked the fuel pump relay plug-in wires for juice, and only 1 wire has power. It is the wire going to the coil. Another mechanic told me that there was suppose to be 2 hot wires going to the fuel pump relay. He said it was suppose to have hot wires on the points side, and the coil side on the relay. The hot that is going to the relay is going to the points terminal on the relay. I checked all of the wires on the relay and where they were going and this is how the wires go-- 1 red wire comes from the computer, 1 striped wire goes to the fuel cut off switch, 1 striped wire goes to a switch beside the battery, which I think is a timer, and 1 striped wire goes to a plug-in on the fender welll that splits and goes to the fuel pump on the frame, and the other wire in the plug in that splits off, that wire goes to the tank switck on the dash. The truch has the computer from the origonal motor. Ok with the relay this is true it should have constant power to one term and switched power to an other term this turns the relay on to send power to the pump. We will get to that in a second. I also must know if the engine from the lincoln is an HO or not. Did the upper plenum from the lincoln say H.O.? This will change the firing order so get to me with that ok. Now back to the relay. Red wire should be constant power. Now the other power comes from the inertia switch. So keyed power to the inertia switch then to the switched side of the relay through the pink wire with the black stripe. 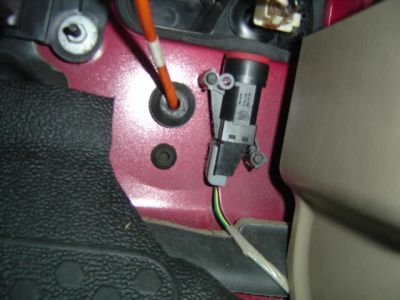 Now also if you haven't done so yet up on the fire wall inside near the brake pedal is the inertia switch with a red or white button in it push that and see if it starts here a pic of one. The inertia switch wires are 1 wire going to fuel relay and 1 wire going to fuel pump which is pink with black stripe. The red wire on the relay goes to the computer. Yellow wire is hot and goes to switch or coil. It has a brown and blue stripe wire that goes to a red-plug in beside the battey that is not pluged up. It is a wide plug-in and I don't see a place for it to go. I think I need to check the input wire on the inertia switch to find out why it dont have any juice because you said the inertia wire going to the relay needs power. Ok great then everything should work fine once we have power to he fuel pump. Now did you check wires to the tank selector switch? Now the pink wire with the black stripe comes from the relay to the inertia switch and then to the fuel pump. Now the power comes from the yellow wire to the fuel pump relay, which is provided from the starter relay on the fender near the battery. Sorry I was reading the wiring diagram incorrectly. So it is like so yellow wire from the starter relay to the fuel pump relay then out the pink wire with the black stripe to the inertia switch then from the inertia switch to the fuel pump. The tank selector switch determines which pump gets the power. I have a 1988 ford f-150 with the 302, every morning I go out and the truck will start right up and run great all day, when I shut it off it will not start again unless I pull the fuel pump relay out. After it restarts I have to plug it back in and it will continue running fine until I shut it off again. When I try to restart it I do have spark at the plugs, but I can smell the fuel like it is flooding. Any ideas? If the fuel pump runs with the key off, replace the relay and check the fuel pressure regulator. Pull the vac line off and if there is any gas in it, change the FPR. Test pressure and regulator this way. First thought is you have injectors bleeding down and flooding the engine. Does your engine oil smell "gassey"? Yeah I can smell gas in the oil, does that mena new injectors or whats the easiest way to fix that? The smell can also be from just cranking the engine without it starting. Do a fuel pressure test and leakdown test with a fuel pressure test guage, it's the ONLY way to find leaky injectors. You do it by watching the gauge for five minutes with the key off, if it losses 5lbs of pressure over the specified time, an injector is leaking. on 1988 ford F-150 what is the proper way for checking the fuel pump relay and its wires to diagnos the problem. (The relay does not turn on) when I jumper 12v on the fuel pumps they run. Also the EEC relay clicks and turns on, from my understanding that is what sends volts to relay. Check the fuel pump shut off up agaisnt the firewall. I'm sure its an injector, is there any way to fix or is that a replace part? Is the truck getting missfires on any particular cylinders? Those would be the bad injectors, replacing is the only fix for bad injectors, but I still advise the testing. I Can't Figure Out Were The Fuel Relay Is On My Truck. Can You Help Me.